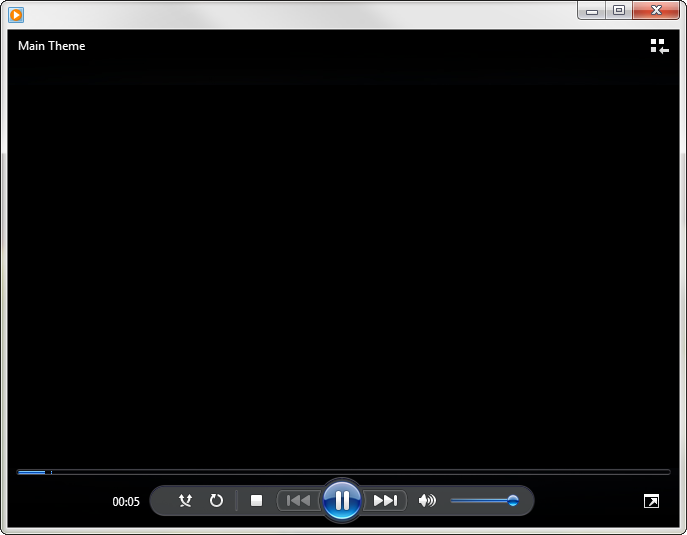 I had an album of .mp3 files that simply would not display the album art in Windows Media Player 12 Now Playing view. Luckily, I eventually figured out why and fixed it. 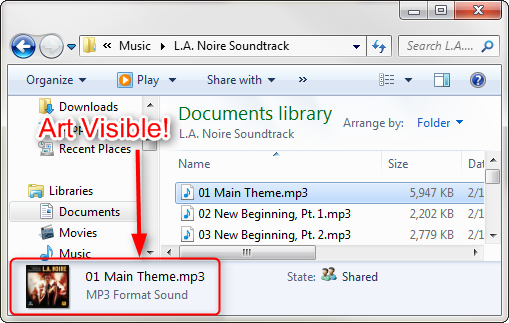 WMP will usually display album art from either a "Folder.jpg" stored in the same folder as the files, or from embedded album art embedded directly in the .mp3 file tags. I embedded the art myself using mp3tag, a very good tag editor, so I knew they should display properly. However, I could not get either to work on these files! The root cause was a bad tag and/or a setting in WMP 12. 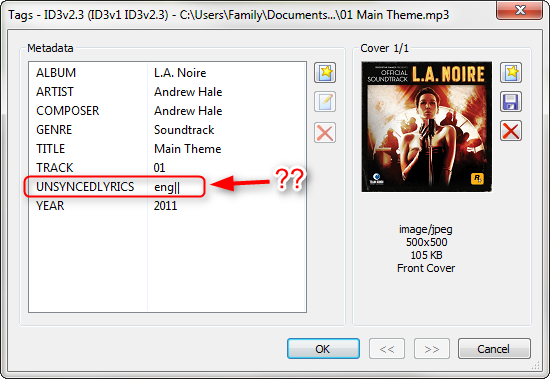 Using the Extended Tags view of mp3tag, I found an "UNSYNCEDLYRICS" tag that was odd. 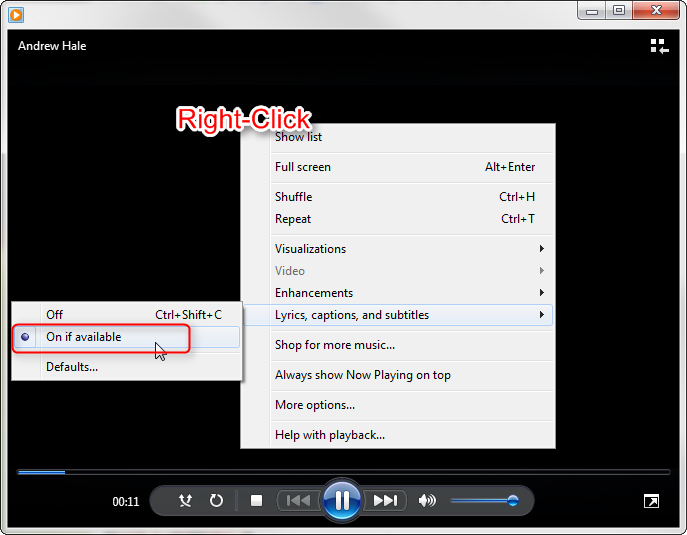 This coupled with the fact that WMP12 was set to look for captions in the Now Playing view, made the art not show. I found 2 solutions to make the art show in WMP12. One I'd call the work around, and the other was the final, permanent solution. 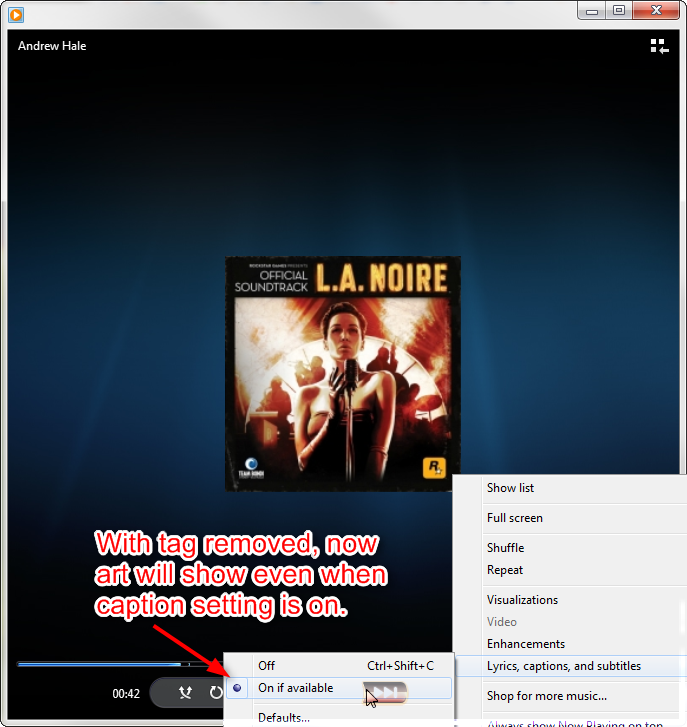 The quick way to get the art to show is simply to right-click, then turn off the Captions, and then change the Visualization to "Album Art." However, that Caption setting might get put back on someday, so this isn't a robust permanent solution. Of course the right way is to delete that bad tag and then the WMP caption setting will not matter. Go back to the Extended tag editor in mp3tag, and remove the bad tag. 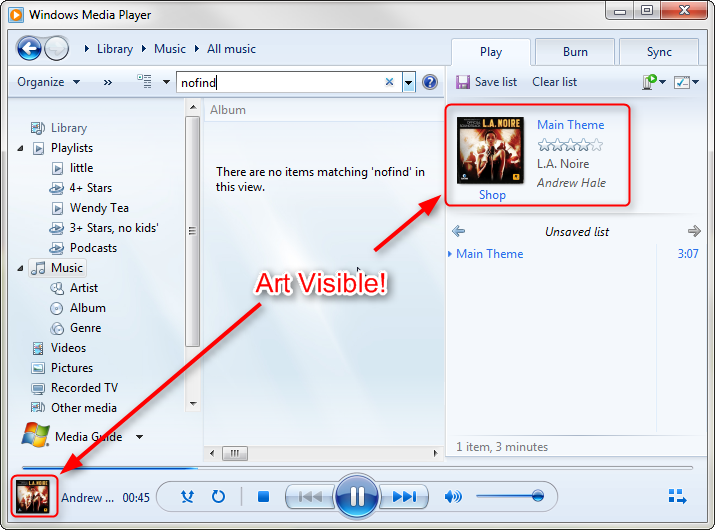 Now the album art will show even with the caption setting on in WMP 12....Problem SOLVED! !